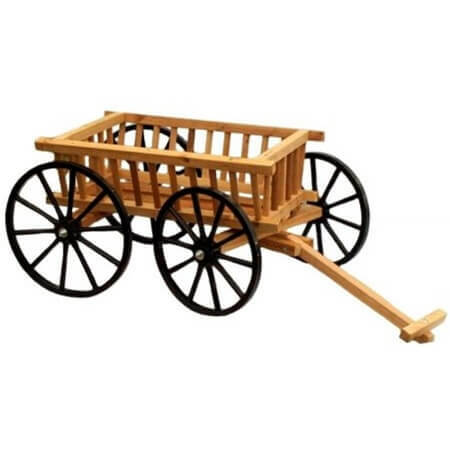 You will get a big bang for your buck when you order this wooden pumpkin wagon because with this display you have the start of something big! 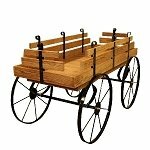 Create customer interest in a big way by displaying your products in a handsome wooden wagon display. This wood wagon display causes excitement in browsers and turns them into buyers. Don't delay, order today! Bed Size: 18" x 36"